Melbourne is growing up. Though grungy is definitely still very much in, the trend seems to be slowly but surely shifting towards minimalist stylishness. As much as I’m a fan of the homely and the rustic, I have to say it is nice not to run the risk of feeling like I’m sitting in someone’s garage for brunch. Whilst I’ve been brunch-less for the last year, the Eggs Benedict scene has been moving forward without me. One of the most recent developments is The Kettle Black, spanning across one end of a modern apartment block through to a quaint Victorian home. 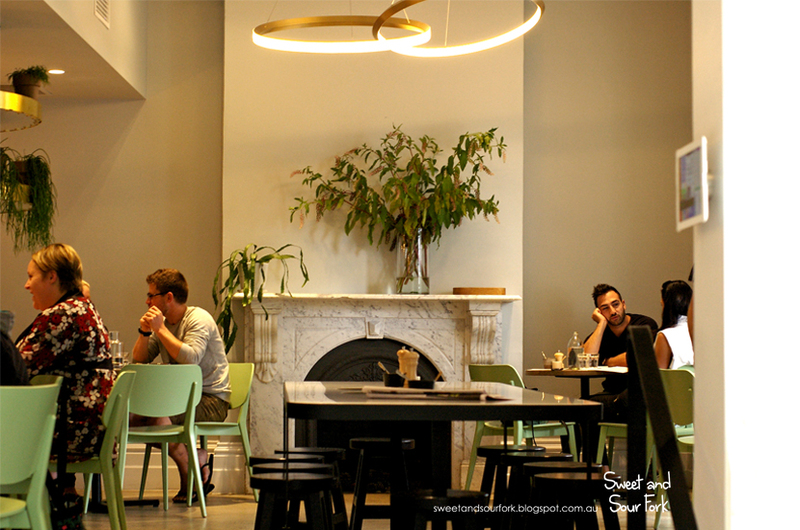 The result is surprisingly harmonious, making for a uniquely chic and polished spot that have people flocking to in droves. 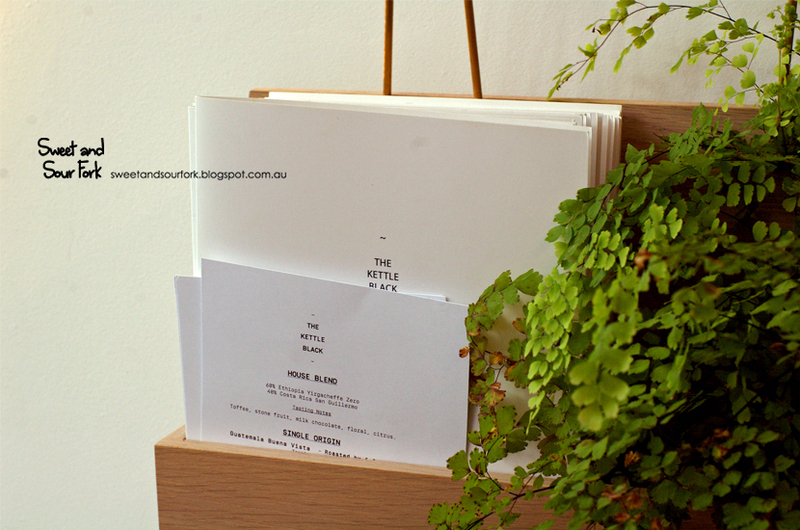 Drenched in sunlight and decorated with clusters of plants, The Kettle Black brought to mind Top Paddock, which only makes sense given that they are part of a string of cafes opened by the same group of blokes. Follow the lineage back further, and you’ll come across Two Birds One Stone, and eventually Three Bags Full, though it underwent a change of ownership a few years back. Whilst it’s the youngest, The Kettle Black is the most refined sibling of them all. 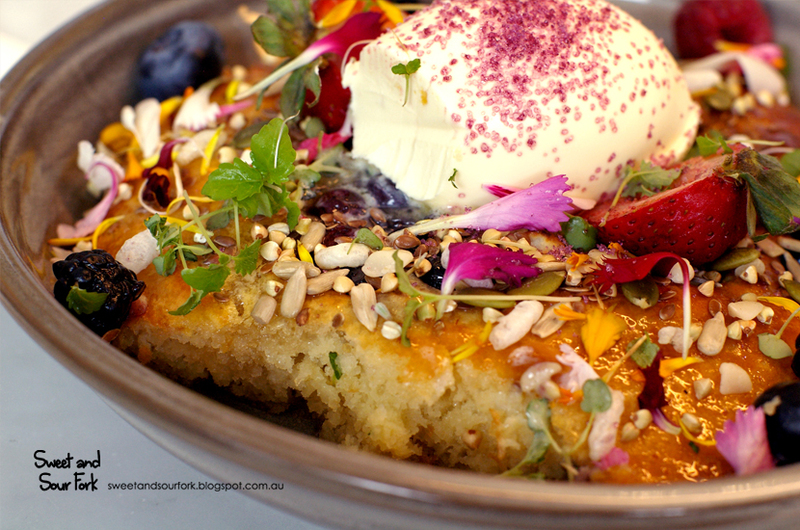 There is nothing predictable about the brunch menu (though the famous Top Paddock Hotcakes makes an appearance), and each item read like a short, tantalising poem. 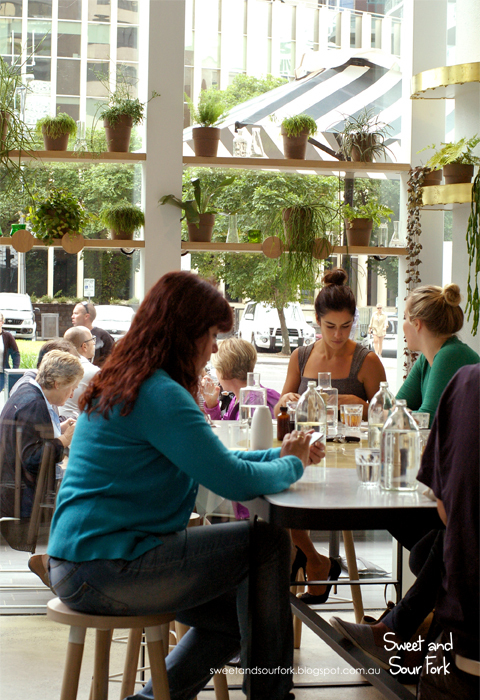 Despite the sophistication however, brunch here is anything but stuffy, and diners are left in peace with their coffee and paper to soak up the sun. 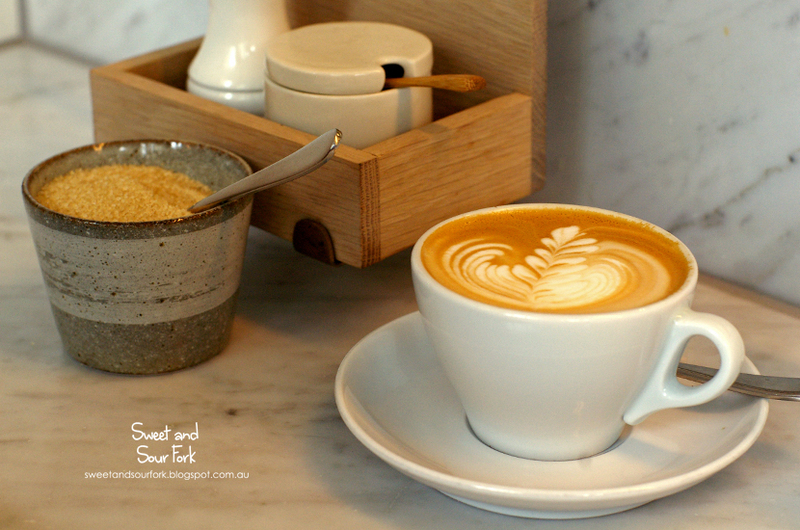 Having finally convinced K to get into coffee, we had a Flat White ($4) each, and enjoyed teasing out the various aromas in the brew, guided by the page of tasting notes. My cup of coffee was pleasingly strong, with overarching tones of toffee and cocoa. Once the coffee cooled a little, I could just pick out the more delicate notes of floral and stone fruit. I could definitely get used to having tasting notes with my coffee. I had a game plan – K and I will each pick 3 dishes we want to try, and then pray that 2 of them overlap. 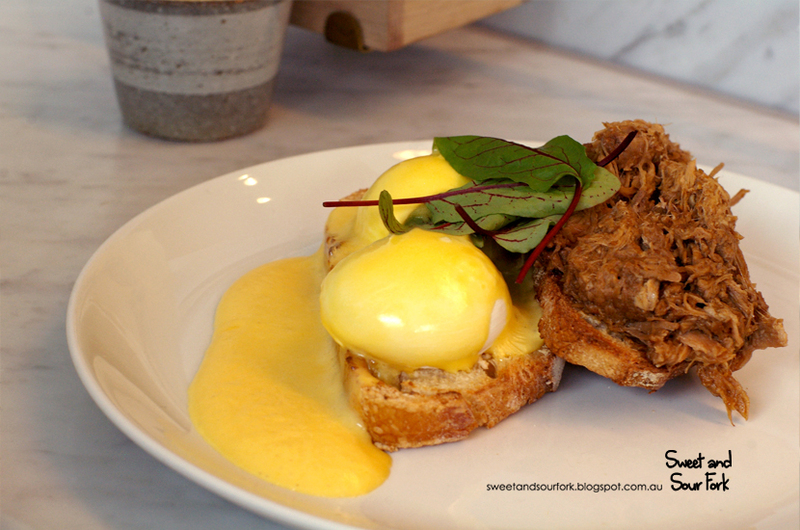 That failed miserably as we had no mutual dishes on the first try, but we did agree that the Benedict Styled Eggs with Free Range Pork Shoulder and Aerated Hollandaise ($17) sounded like the bee’s knees. It certainly was an elegant variation of the traditional breakfast, the moist pulled pork flavoured warmly with cumin and spices. 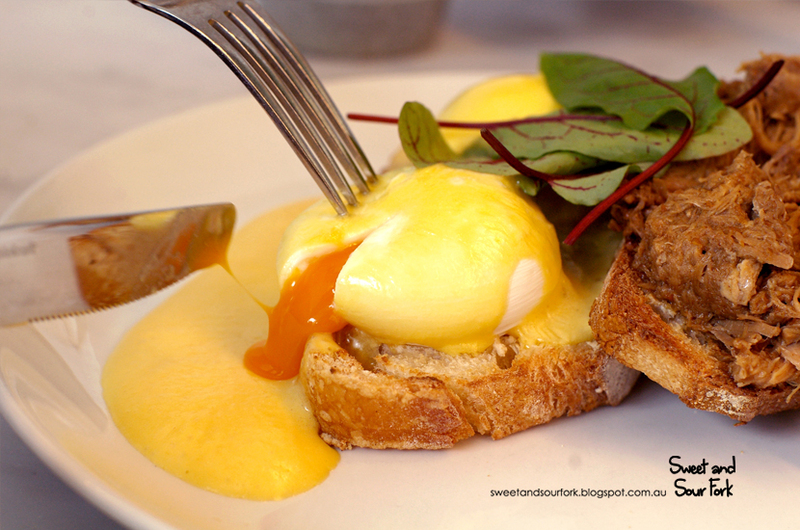 The poached eggs were perfect, and the tangy hollandaise was indeed extra light and fluffy as promised. My only complaint was that the toast succumbed to the common pitfall of being WAY too tough, and whilst I can forgive that in light of the gooey eggs and tender pork, it does not an enjoyable experience make. It wasn’t too hard to convince K that he would like to try the Hotcakes with House-Made Ricotta, Blueberries, Pure Maple, Double Cream and Seeds ($18), especially after showing him a picture of it online. 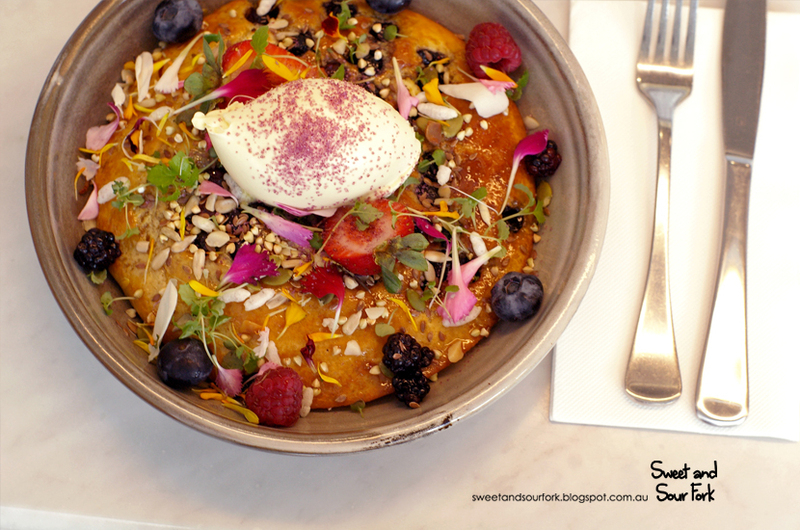 And it turned out to be even more beautiful than I had anticipated; the thick pancake sat at the bottom of a shallow bowl, garnished with a lush array of summer berries and flowers. 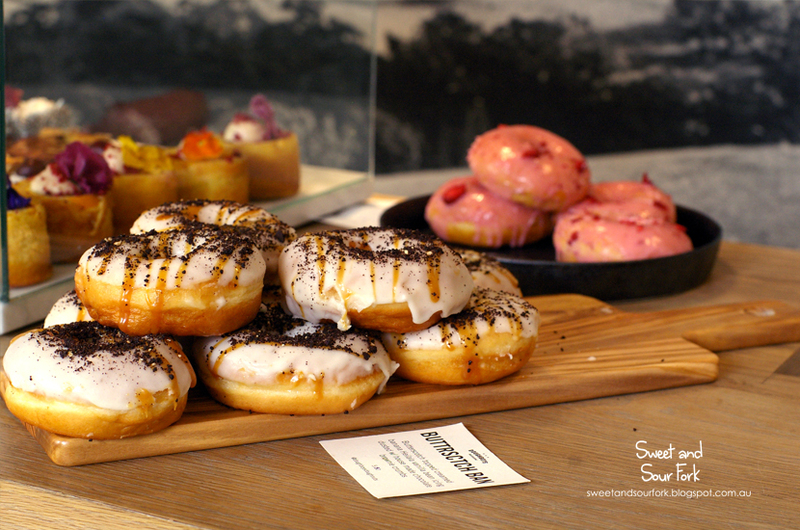 The sprinkling of lavender sugar on the cream was as pretty as fairy dust. The hotcakes themselves were warm and fluffy, soaked in a deluge of sticky maple syrup and topped with a smear of thick, cool cream. The rich sweetness contrasted marvellously with the tart and juicy berries, and texture came in the form of scattered nuts. Each bite was a work of art, and I couldn’t keep the smile off my face as I ate. 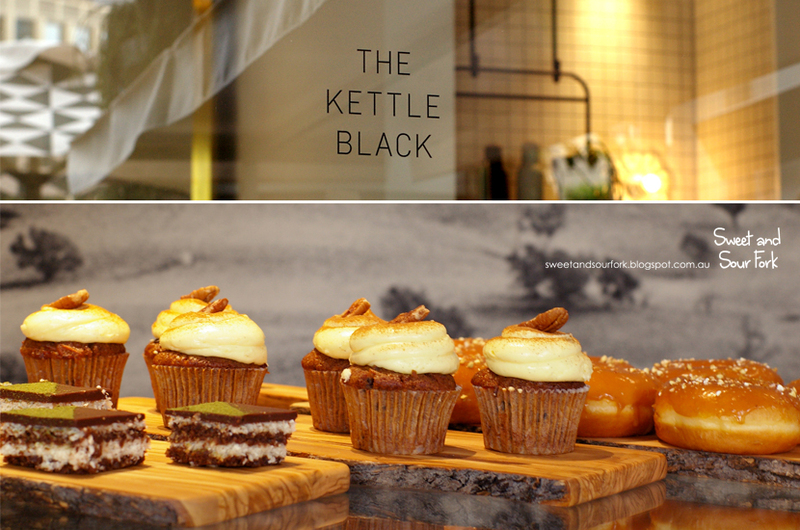 It’s really not very hard to like The Kettle Black, given its beautiful food in a beautiful surrounding at a reasonable price, and the excellent coffee topping it off. 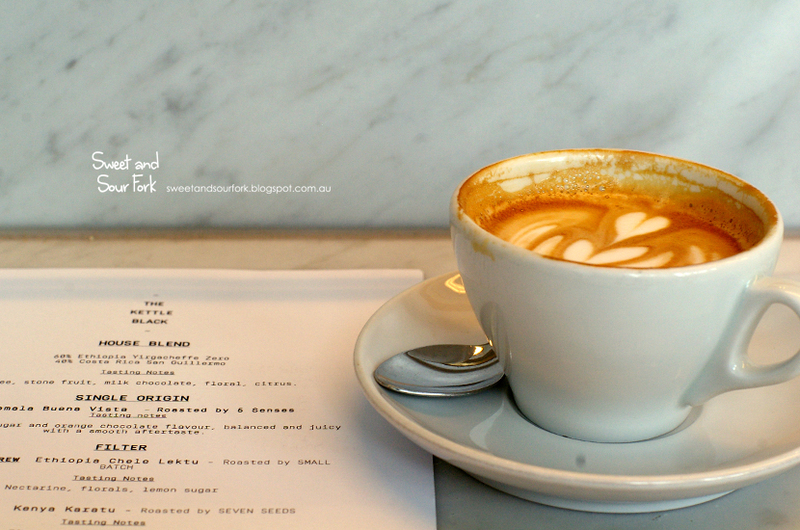 However I think Top Paddock will still stay as my favourite brunch place for the time being; when I think of brunch, I think of simple and indulgent meals, and whilst there’s nothing wrong with the more high-brow version at The Kettle Black, I guess I’m still a little old-fashioned at heart. Rating: 14.5/20 – pot to kettle.